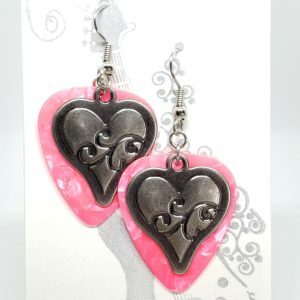 Gunmetal embossed hearts are set in front of bright pink celluloid guitar picks. 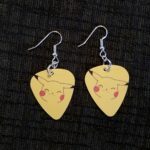 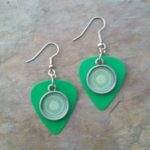 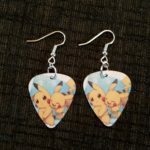 These light weight earrings hang 1.25″ from the ear wires and are 1″ wide. 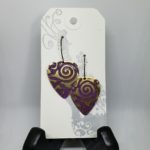 They will arrive in an organza bag that can be used for storage or gift giving.